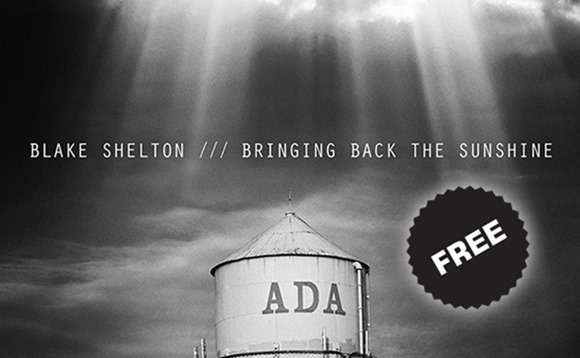 If you’ve been looking for some good new music to listen to then Blake Shelton’s latest album “Bringing Back The Sunshine” is now available absolutely free to download. Head on over the jump for further information on this sweet deal. Released in September 2014, Bringing Back The Sunshine, which debuted as the number 1 album on the U.S. Billboard Top 200, originally costs around $11 on the Google Play Store as a digital purchase, but can be grabbed for free for a limited period in a promotional effort that is only applicable in the U.S. This sought-after album is Shelton’s ninth release, and other than topping the Billboard Top 200 charts in the U.S., Bringing Back The Sunshine was also number one on the U.S. Top Country Albums, as well as fourth on the Top Canadian Albums. The album includes the tracks Neon Light and Lonely Tonight which were huge hits on the U.S. charts reaching 3rd and 5th positions respectively. Here are some more interesting stats: In the first week of sale, a total of 101,000 copies were sold in the United States and as of January 2015, the numbers had risen to 290,000 copies. As for Canada, where the album debuted at number 4 on the top charts, sold 7,700 copies in the first week. Google Play Store is no stranger to offering popular music albums for free to its users, and has done so with quite a few albums in the past, including the Frozen, Guardians of the Galaxy soundtracks, Michael Buble’s Christmas Deluxe Special Edition, and a lot more. The Android maker is also known for offering movie titles for free on its store from time to time as well, but as is the case with this music album, the limited period offers were targeted at U.S. consumers only. You can download the entire Blake Shelton album from here. If you do happen to download the album, do share your thoughts with us in the comments section below.